OK, let's float a controversial idea which runs distinctly against the status quo of swimming "fact". 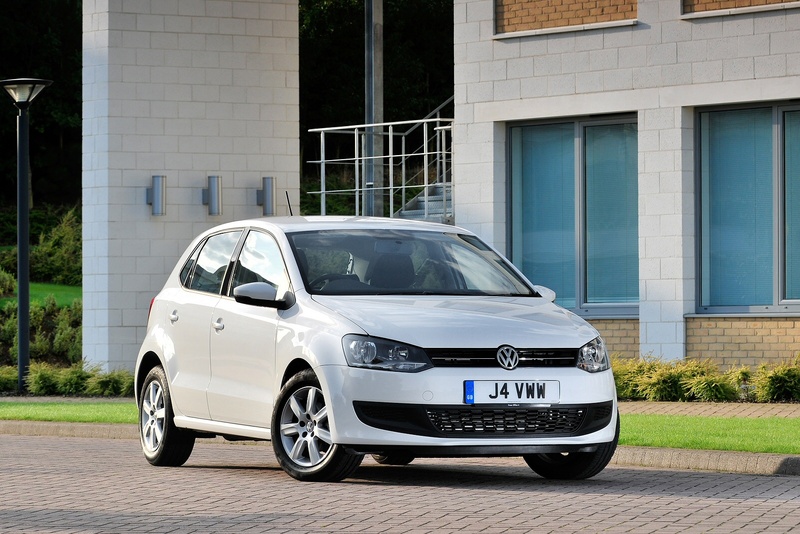 It's a Volkswagen Polo 1.4 TDI, reaching 62mph (100kph) in 12.9 seconds with a fuel efficiency of 76.3mpg (3.7L/100km) on the combined European cycle. Top speed 240mph (390 kph). 0 to 62mph (100kph) in around 2 seconds. Super fast, super sculpted and streamlined. An awesome machine. Now here's the thing, the fuel efficiency of this performance machine is a completely lousy 7mpg (33L/100km). Yes that's nearly 10 times worse than our VW Polo (and the car is less than half the weight)! Ferrari haven't wasted any efficiency - just like an elite swimmer, the drag of this car is as low as it can be to get the job done. 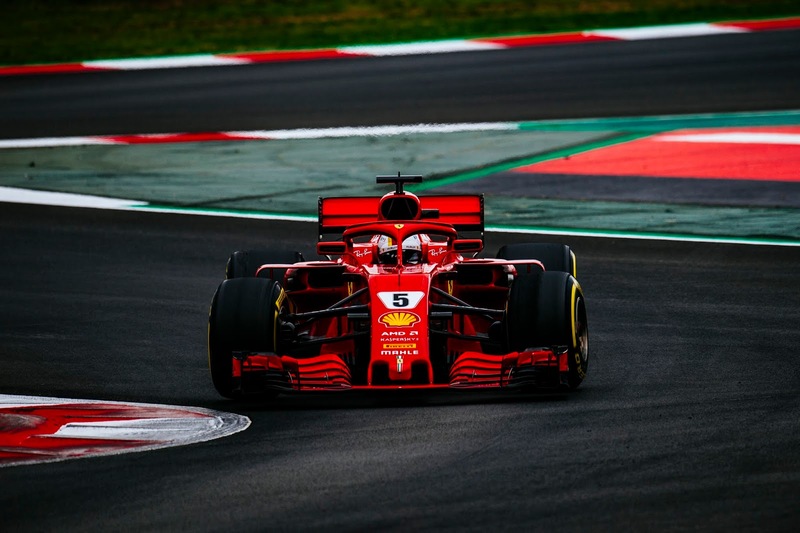 And the clever engineers at Ferrari could easily make this car more efficient but the result is that it would immediately be slower (defeating its purpose). It would be less effective at covering ground quickly. Here at Swim Smooth we believe "EFFECTIVE" is a good word for most swimmers to focus on. Rather than focusing solely on becoming more efficient, instead try thinking "I need to be a more effective swimmer". You'll swim with much more more purpose as a result. Unfortunately the nature of aerodynamics and hydrodynamics means that the easiest way to be more efficient is to just go slowly. So the danger with chasing efficiency to the nth degree if that we just end up being slow. We're not suggesting thrashing around like a mad thing and wasting energy unnecessarily. Instead we're looking to develop an effective stroke working with the water to move you forwards quickly over longer distances. 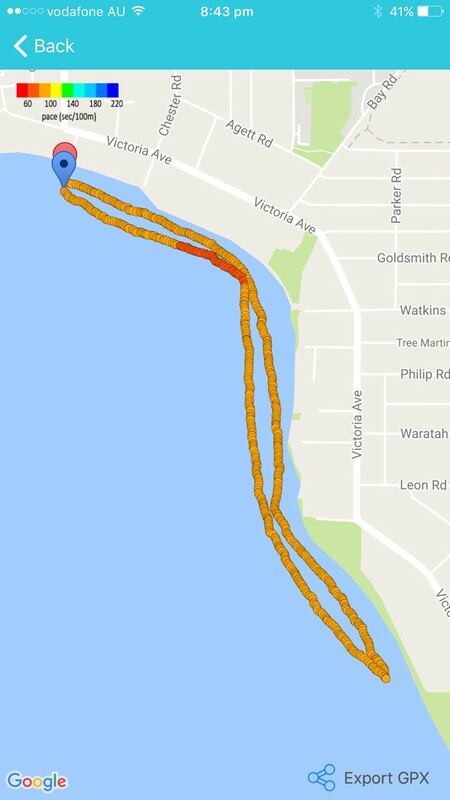 Marlin Offer ENDS TONIGHT and Perth's 10 Year Anniversary Swim! 10% OFF PLATYSENS MARLIN - ENDS TONIGHT! Our special offer of 10% off the Marlin Swim Meter ends midnight tonight - don't miss out on this amazing tool to improve your swimming. On Monday we celebrated a special date in Perth, the 10 year anniversary of the squad! 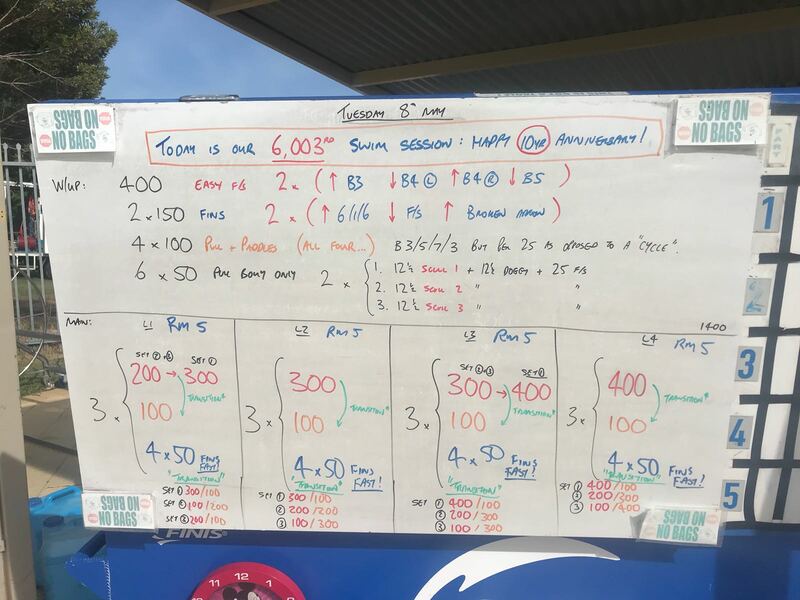 A quick calculation by SS Head Coach Paul Newsome showed that over last 10 years at Claremont, he and our team of brilliant coaches (Sally, Cyndy, Derek, Marie, Roo, Sandy, Shelley and Nicola) have conducted over 6,000 squad sessions! And a crazy 3,500 1-2-1 Video Analysis & Stroke Correction sessions to boot! Chrissie (centre) and Liz (right) are still regulars to this day! 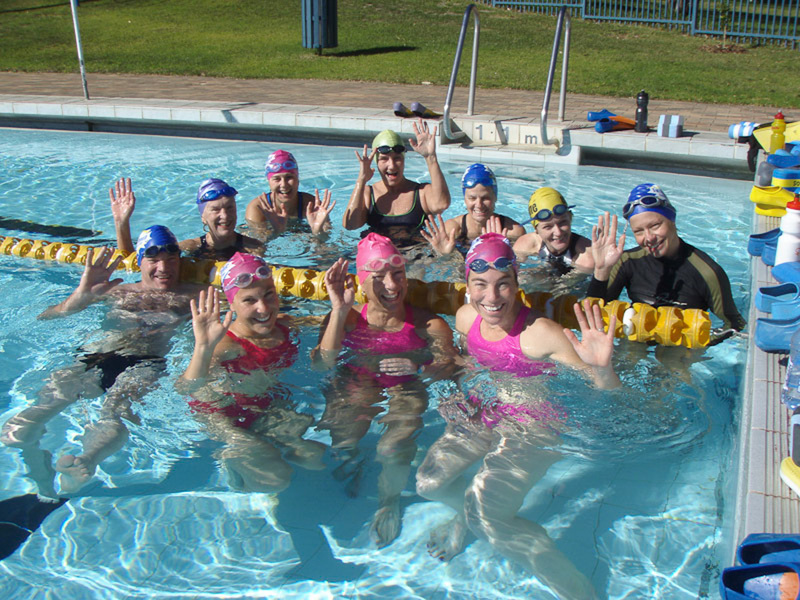 Swim Smooth itself has been around a little longer (into our 14th year now), but the local squad here in Perth will always be the "engine room" to what we generate on an international scale, including being the official swim coaching partners of the governing bodies of British Triathlon and the International Triathlon Union. 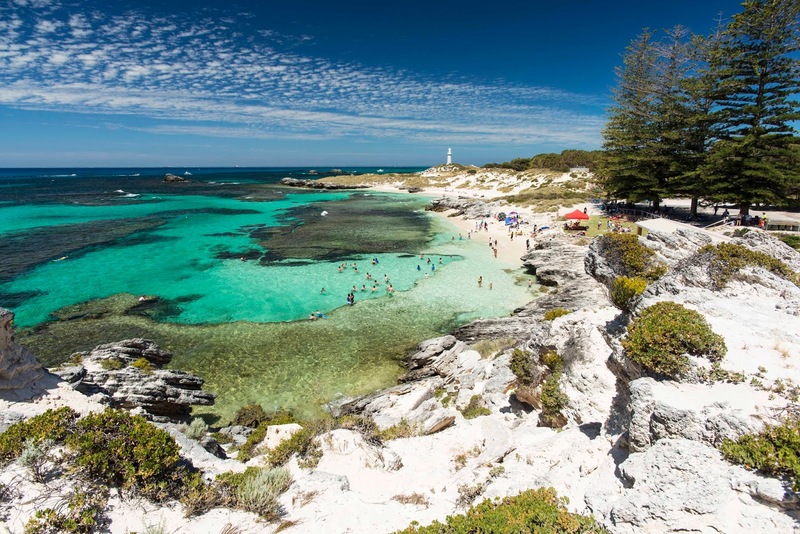 We call the squads in Perth "The Life And Source" of Swim Smooth and if you've ever visited you'll understand why. 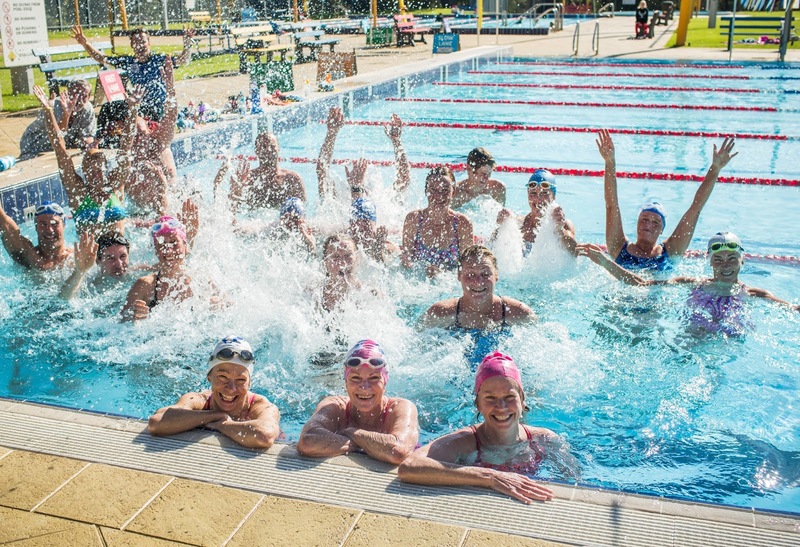 The squad boasts 12 weekly training sessions accessed by 360-400 people per week in the lovely year-round 28.5oC water temperatures of Claremont Pool. It's been an amazing ride and one which Paul and his team enjoy as much today as they did all those years ago. 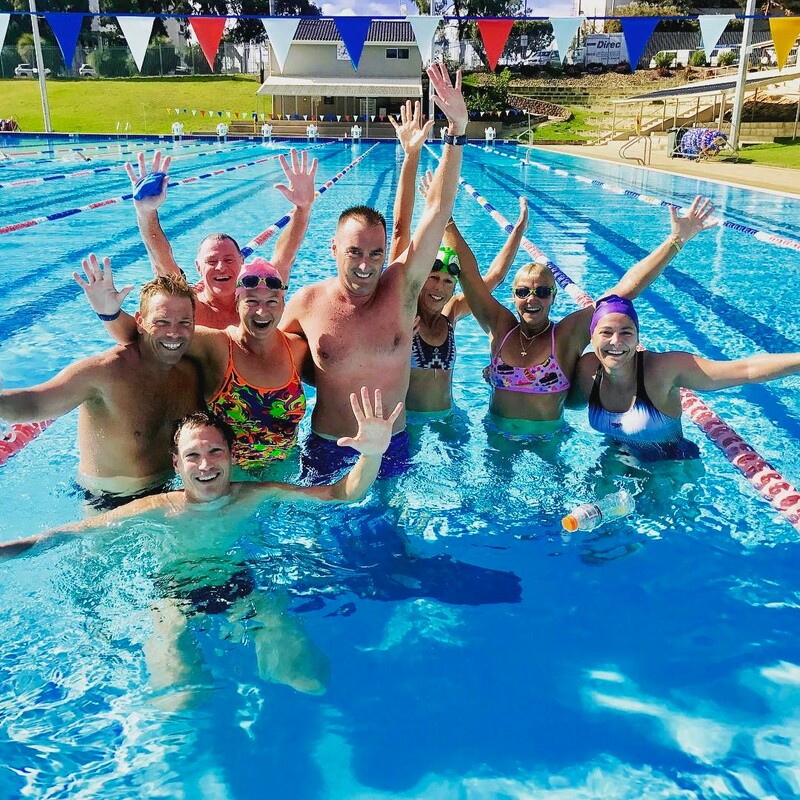 Of course, EVERY Swim Smooth Coach has to make the pilgrimage there for intensive training too - so they can bring you the same quality of coaching and feel-good-factor to their setup at your local pool. So how did we celebrate? With a swim session of course! That's right, the squad celebrated with a tough little swim - a Technique/Endurance swim set in fact. We published this in full in the Guru a few days ago but are new releasing it onto the blog below for everyone's swimming pleasure. You will need fins, pull buoy and paddles, and to make the most of the session you would ideally use a Tempo Trainer Pro too - for pacing you through the main set. This is a full squad session so it assumes you know some of the drills (from our book, our DVDs or the might Guru). You can see also see this quick drill reference list. 4x 100 Pull Buoy and Paddles breathing 3/5/7/3 (this means take your first breath after 3 strokes, second breath after 5, third breathe after 7 and then back to 3 etc). The distance varies from 2800 - 3600 depending on the options you choose. 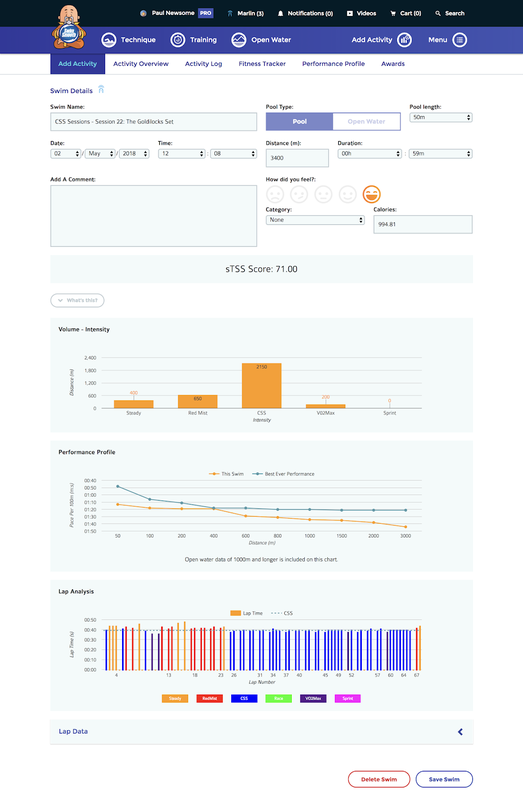 * RM5 is a setting that goes in your Tempo Trainer based on your CSS pace. Simply take your CSS pace per 50m and add 5 seconds to it - then round to the nearest whole number. For instance if your CSS pace is 2:00 per 100m you need to put 1:05 in the beeper (use Mode 2). During the main set above, wait for the beep, set off and swim quickly enough to get ahead of the beeper every 50 meters. 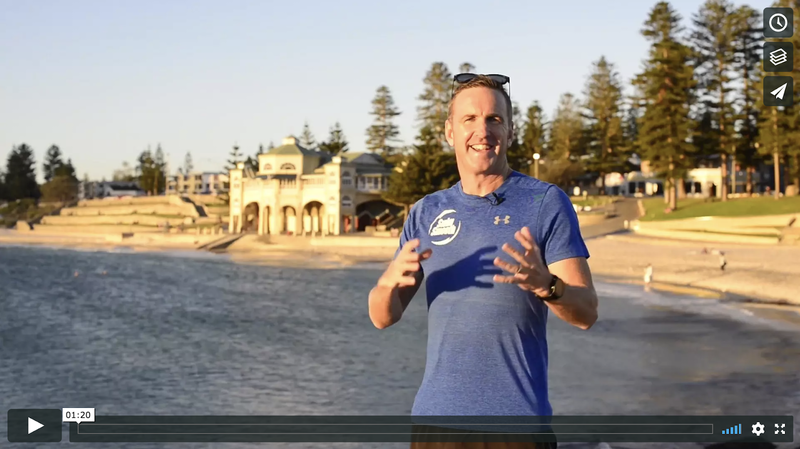 The faster you swim (you decide) the further ahead you get and the more rest you earn before the next swim of the set. You need to take off as soon as it "catches up" and beeps again, no additional rest! You should just get enough rest to change your paddles/pull-bouy/fins if you are quick. This special offer must end on Friday 11th May so don't delay and snap yours up now! 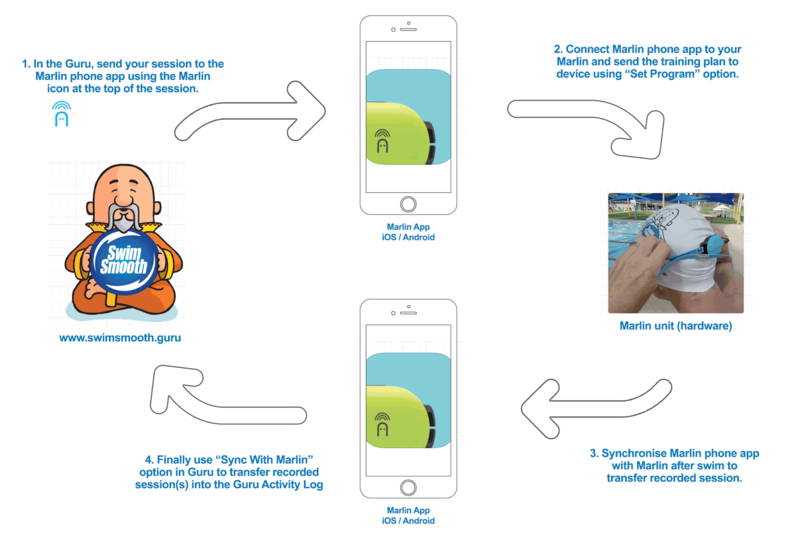 The Marlin is a next-generation swimming tool worn on your goggles. It monitors everything you do as you swim and then speaks to you, giving your verbal feedback on your performance. It also integrates fully with the Swim Smooth Guru (more on this below). The Marlin informs you of the speed you are swimming, your stroke rate, strokes per length and distance swum. It can also talk you through training sessions step by step. 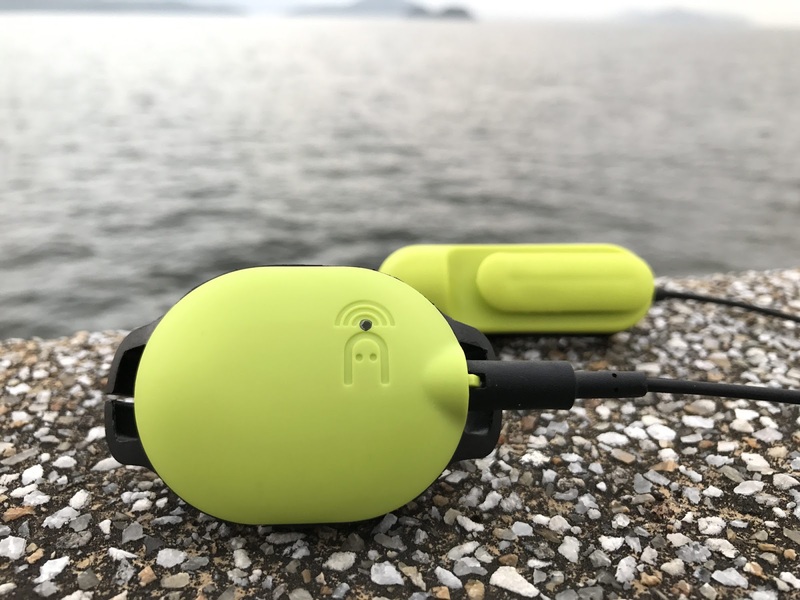 Swim Smooth have been an integral part of the development team at Platysens, making sure the Marlin gives you the right feedback and prompts you in the right way to maximise your development as a swimmer. 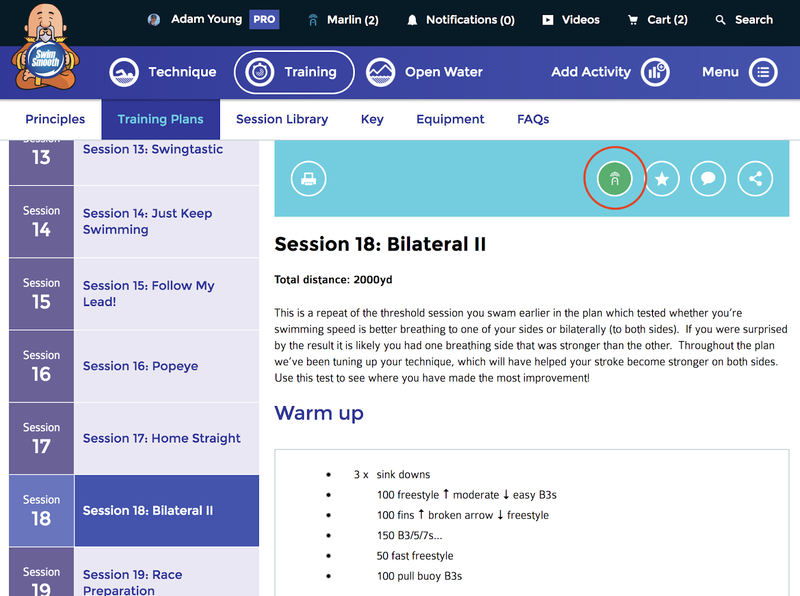 Once your session is complete you can of course analyse all your swim data on your smart-phone (iPhone or Android required) - and into the Guru too if you are a PRO subscriber. Marlin <-> Guru Link - Truly Closing The Loop! And if you are a Guru PRO subscriber you can link your shiny new Marlin to your Guru account! Even more impressively, the Guru replaces your Tempo Trainer Pro, automatically beeping the right target pace to you during training sets, the pace of which is calculated from your CSS pace in the Guru (no more setting that Tempo Trainer). Offer Ends Friday May 11th. The Marlin is a true next generation product and we're super excited about getting one strapped to your goggles in 2018.